They bring the best out of your media and look good doing it. Typically, the lower you go under the $50 threshold for budget PC speakers, the more the returns diminish. Edifier’s RU19 2.0 system is a rare exception. These speakers sound great, look great, and at just $30 they leave your bank balance largely unscathed. It's one of the better buys in our budget PC speaker roundup (the set is currently $30 on Amazon), which is saying a lot when they're all so affordable. The R19U will bring a little style to your desktop. Each 6.89 x 3.35 x 4.13-inch speaker has a matte-silver base with a black faux-wood enclosure that gives it a warm vintage vibe. Its 2.75-inch driver and porthole is covered with black mesh grillework. They’re controlled by a large black power/volume knob on the left channel, which also has a 3.5mm headphone port. On the back is a 3.5mm AUX socket, where you can connect your mobile device or other audio player with the supplied cord. To setup the R19U, you first plug the RCA connector extending from the left speaker into the jack on the right one. Then plug the USB cable into your computer. As the speakers draw the audio as well as the power from this USB connection, you’ll next need to access your operating system’s audio settings and change the output to the R19U. 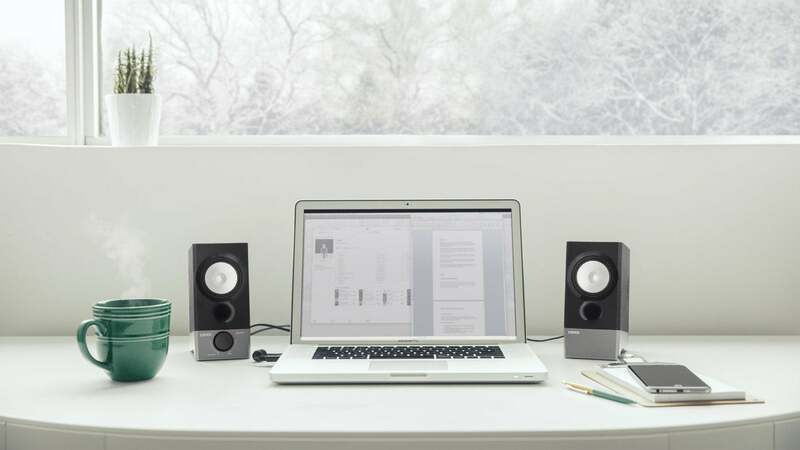 The R19U speakers are angled 10 degrees to optimize sound and prevent them from reflecting off your desktop. 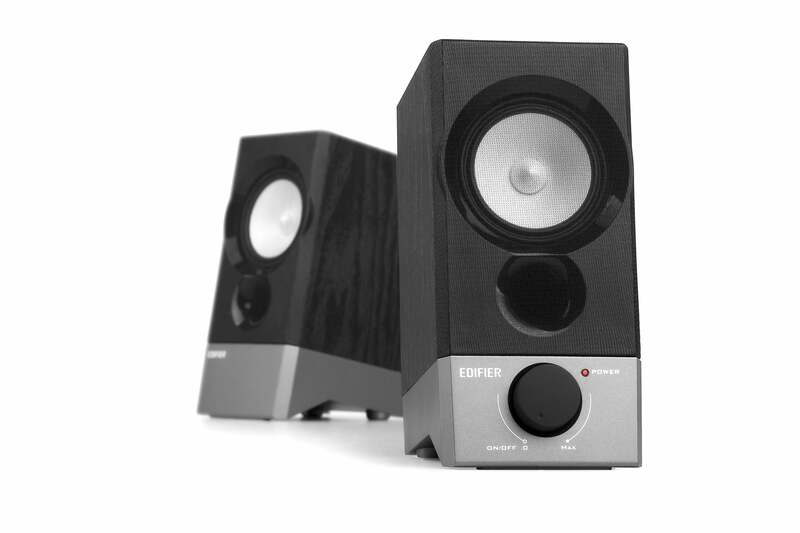 The speakers deliver excellent, balanced sound, with rich mids and crisp highs. Even without a subwoofer, they have a good controlled bass response. It won’t rattle your windows, but it has a satisfying punch. As is common with USB speakers, the volume output is a little low. Even with the source volume maxed, I had to push the speakers’ volume knob past the halfway point to get to a listenable level when I was sitting in front of them. When I wanted to listen to music while moving about the room, I’d have to turn them up all the way. The good news is, they didn’t distort even at the highest volume. Put the Edifier RU19 on the shortlist of sub-$50 speakers worth buying. I found they generally brought the best out of any given audio, whether it was an album, a film, or a YouTube video. And the subtle design nod to the wood floor standing speakers of home audio’s golden age was kind of endearing. If you can live with the bass and volume limitations inherent in USB-powered speakers, you won’t be disappointed. If you're OK with the bass and volume limitations inherent in USB-powered speakers, the Edifier R19U are an impressive updgrade to your PC audio.